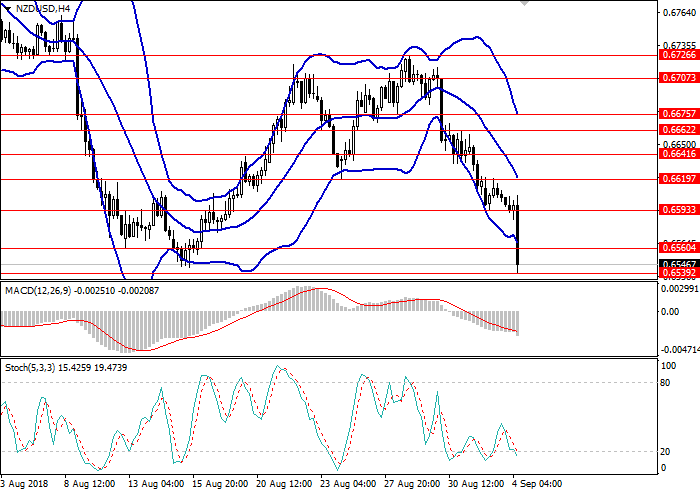 On the daily chart, the instrument broke down the lower border of Bollinger bands, continuing the downward movement. MACD histogram is in the negative area, the signal line crosses the histogram body downwards, indicating the opening of short positions. Stochastic is on the border with the oversold zone, the signal line is directed downwards. On the 4-hour chart, the instrument is falling toward the lower border of Bollinger bands. MACD histogram is in the negative area, keeping the signal to the opening of short positions. 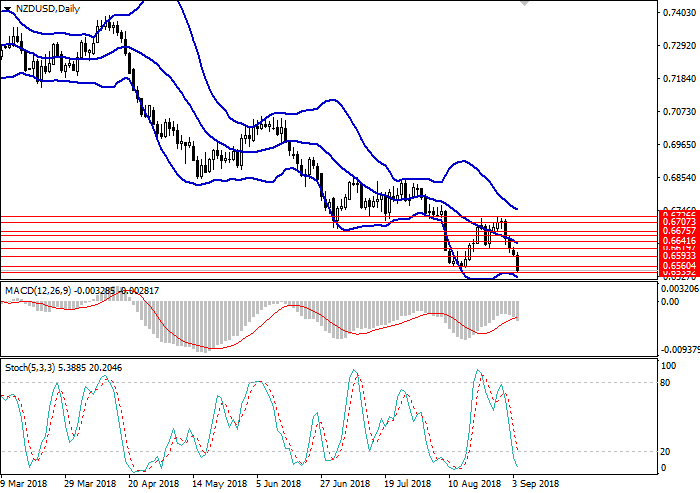 Stochastic is preparing to cross the oversold zone downwards, after which a signal to open long positions will be generated. Resistance levels: 0.6560, 0.6593, 0.6619, 0.6641. Support levels: 0.6539, 0.6500, 0.6450. In the short term, it is better to open short positions from the current level with the target at 0.6450 and stop loss 0.6590. Long positions can be opened from the level of 0.6620 with the target at 0.6675 and the stop loss at 0.6590.